Emalie and I decided to escape Dallas for the weekend and made our way down to our favorite spot: The Paluxy. Damn was it hot. Even in the river we had to come in from noon until 4 to avoid the heat. 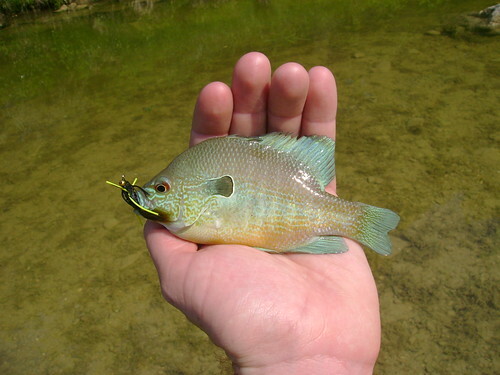 As for the fishing....It was awsome! 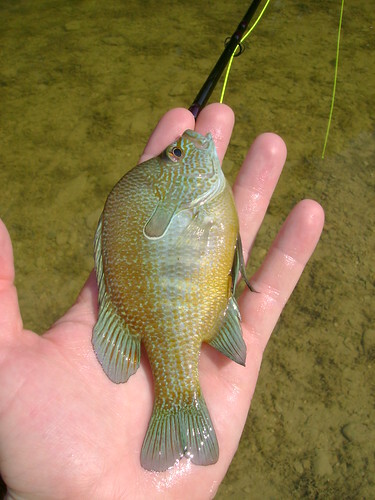 We caught a total of 33 fish, and saw hundreds more. 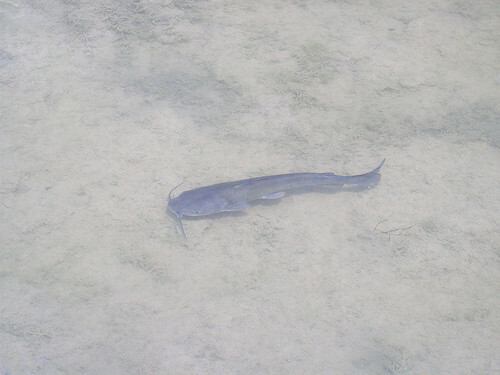 The river was at the lowest I have seen it and all the fish were crowded together in the remaining deep parts. All one had to do was present a scud, cricket, prince, or wolly bugger and you were on like donkey kong. 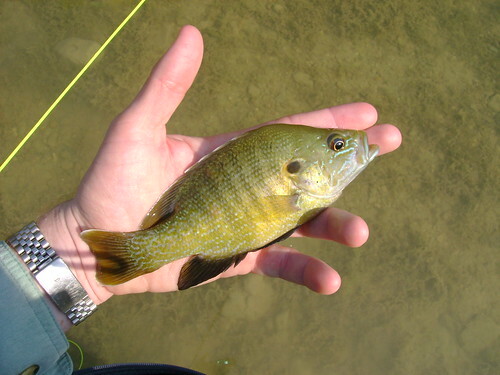 The majority of our catches were Long Ears and Greenies, with a single bass to round out the weekend. 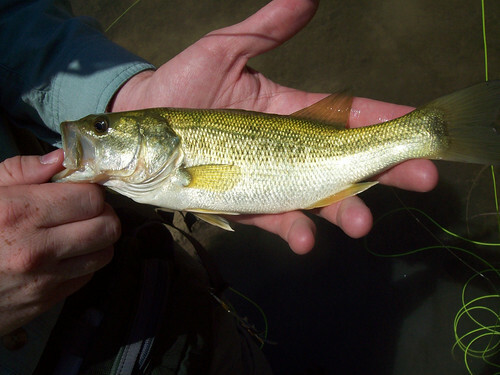 I saw quite a few bass, but as usual they were very spooky to the slightest movement of the line on the water. 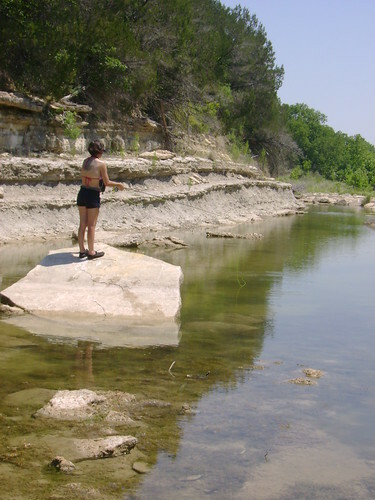 We found a few pink crayfish, so next time we go down I will bring some imitations and see if that changes anything. 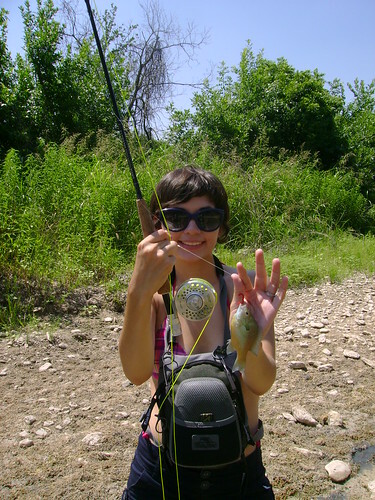 Emalie had fun beating me the first couple hours were out there, and she has really improved her casting. A damn fine Long Ear! 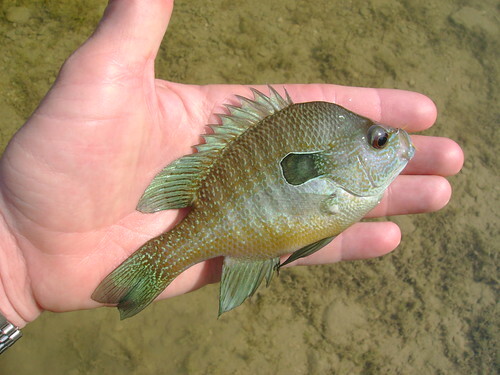 I love green sunfish cause they will hit bigger flies than the long ears. 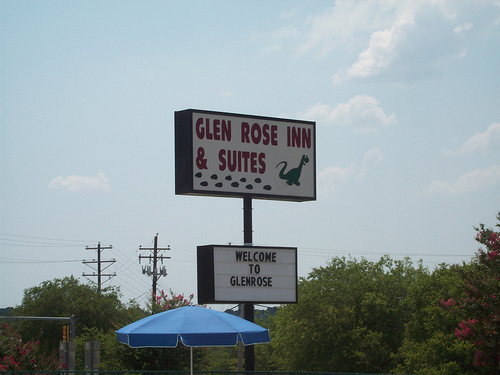 We stayed at teh Glen Rose Inn, which was expensive and riddled with roaches. Bring raid if you stay here. 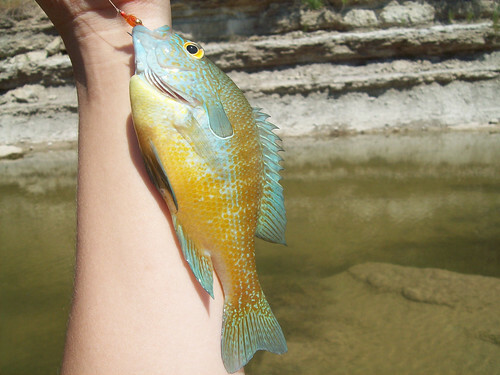 All in all it was a great weekend with lots of fish, goober samwiches, and Texas heat.